The human Humpback is making a comeback…. Save the date… July 15th the human Humpback is making a comeback….at an all new location! Join all the fun as the mammoth mammal takes shape on the sand of Fingal Beach. Come along and get some porpoise in your life. 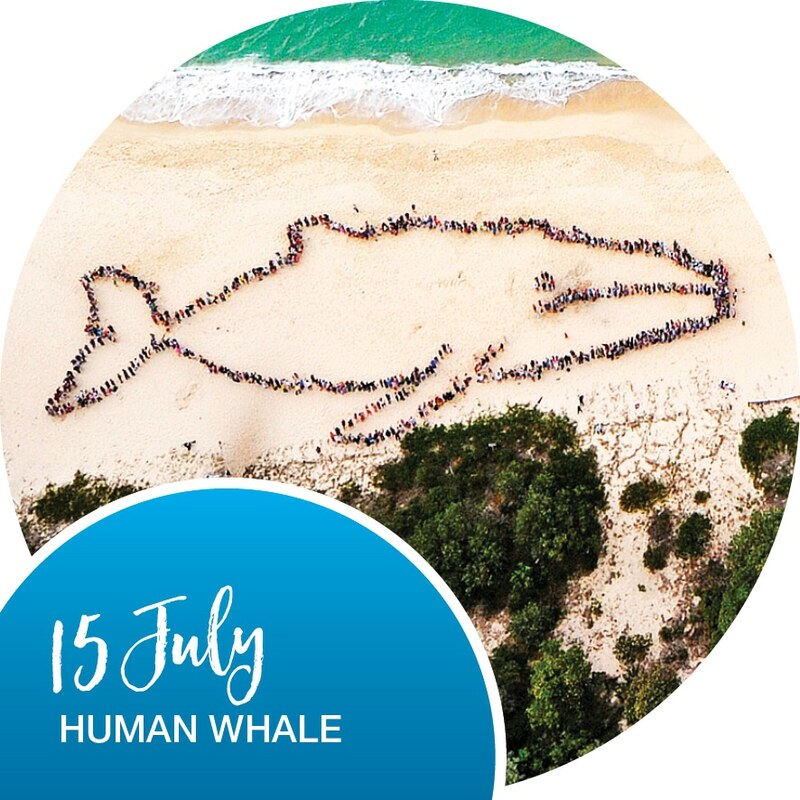 Join us for our World Record attempt to create the biggest human humpback as we celebrate Naturefest and the annual Port Stephens whale watching season. Join Port Stephens Naturefest for a world record attempt to create the biggest human humpback. Celebrate Naturefest and all that is nature in Port Stephens.